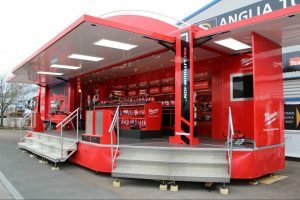 Why not advertise or promote your company at exhibitions and outdoor events, or broadcast marketing material while traveling on motorways or through targeted towns and cities? 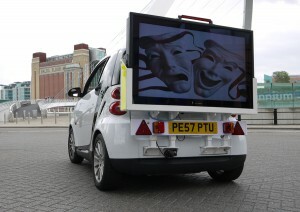 From a small display screen on the back of a pick up or van to multiple LCD advertising display screens mounted on the sides of trailers, lorries, coaches or buses. In addition, using an Aqualite Outdoor digital display for advertising signage for mobile and public information can dramatically increase brand awareness.The only limit to potential mobile advertising applications for Aqualite Outdoor is your own imagination.